For 2018, most tax rates have been reduced. This means most people will pay less tax starting this year. The 2018 tax rates are 10%, 12%, 22%, 24%, 32%, 35%, and 37%. In addition to lowering the tax rates, some of the changes in the law that affect you and your family include increasing the standard deduction, suspending personal exemptions, increasing the child tax credit, and limiting or discontinuing certain deductions. The standard deduction reduces the income subject to tax. The Tax Cuts and Jobs Act nearly doubled standard deductions. When you take the standard deduction, you can’t itemize deductions for mortgage interest, state taxes and charitable deductions on Schedule A, Itemized Deductions. The amounts are higher if you or your spouse are blind or over age 65. Most taxpayers have the choice of either taking a standard deduction or itemizing. If you qualify for the standard deduction and your standard deduction is more than your total itemized deductions, you should claim the standard deduction in most cases and don’t need to file a Schedule A, Itemized Deductions, with your tax return. 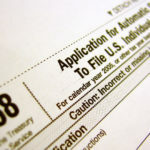 THIS MEANS THAT… Many taxpayers will no longer itemize their deductions and have a simpler time in filing their taxes. Limit on overall itemized deductions suspended. You may be able to deduct more of your total itemized deductions if your itemized deductions were limited in the past due to the amount of your adjusted gross income. The old rule that limited the total itemized deductions for certain higher-income individuals has been suspended. Deduction for medical and dental expenses modified. You can deduct certain unreimbursed medical expenses that exceed 7.5% of your 2018 adjusted gross income. Before this law change, unreimbursed medical expenses had to exceed 10% of adjusted gross income for most taxpayers in order to be deductible. NOTE: If you plan to itemize for tax year 2019 your unreimbursed medical and dental expenses will have to exceed 10% of your 2019 adjusted gross income in order to be deductible. Deduction for state and local income, sales and property taxes modified. Your total deduction for state and local income, sales and property taxes is limited to a combined, total deduction of $10,000 ($5,000 if Married Filing Separate). Any state and local taxes you paid above this amount cannot be deducted. Deduction for home mortgage and home equity interest modified. Your deduction for mortgage interest is limited to interest you paid on a loan secured by your main home or second home that you used to buy, build, or substantially improve your main home or second home. Interest paid on most home equity loans is not deductible unless the loan proceeds were used to buy, build, or substantially improve your main home or second home. Limit for charitable contributions modified. The limit on charitable contributions of cash has increased from 50 percent to 60 percent of your adjusted gross income. Deduction for casualty and theft losses modified. Net personal casualty and theft losses are deductible only to the extent they’re attributable to a federally declared disaster. Claims must include the FEMA code assigned to the disaster. The loss must still exceed $100 per casualty and the net total loss must exceed 10 percent of your AGI. In addition, you can still elect to deduct the casualty loss in the tax year immediately preceding the tax year in which you incurred the disaster loss. Miscellaneous itemized deductions suspended. The previous deduction for job-related expenses or other miscellaneous itemized deductions that exceeded 2 percent of your adjusted gross income is suspended. This includes unreimbursed employee expenses such as uniforms, union dues and the deduction for business-related meals, entertainment and travel, as well as any deductions you may have previously been able to claim for tax preparation fees and investment expenses, including investment management fees, safe deposit box fees and investment expenses from pass-through entities. The business standard mileage rate listed in Notice 2018-03 cannot be used to claim an itemized deduction for unreimbursed employee travel expenses during the suspension. The deduction for moving expenses is suspended. During the suspension, no deduction is allowed for use of an automobile as part of a move. Also, employers will include moving expense reimbursements as taxable income in the employees’ wages because the new law suspends the former exclusion from income for qualified moving expense reimbursements from an employer. This suspension does not apply to members of the U.S. Armed Forces on active duty who move pursuant to a military order related to a permanent change of station as long as the expenses would qualify as a deduction if the government didn’t reimburse the expense. For 2018, you can’t claim a personal exemption deduction for yourself, your spouse, or your dependents. THIS MEANS THAT…you will not be able to reduce the income that is subject to tax by the exemption amount for each person included on your tax return as you have in previous years. However, changes to the standard deduction amount and Child Tax Credit may offset at least part of this change for most families and, in some cases, may result in a larger refund. For 2018, the maximum credit increased to $2,000 per qualifying child. Up to $1,400 of the credit can be refundable for each qualifying child as the additional child tax credit. In addition, the income threshold at which the child tax credit begins to phase out is increased to $200,000, or $400,000 if married filing jointly. THIS MEANS THAT… more families with children under 17 qualify for the larger credit. A new credit of up to $500 is available for each of your qualifying dependents other than children who can be claimed for the child tax credit. The qualifying dependent must be a U.S. citizen, U.S. national, or U.S. resident alien. The credit is calculated with the child tax credit in the form instructions. The total of both credits is subject to a single phase out when adjusted gross income exceeds $200,000, or $400,000 if married filing jointly. THIS MEANS THAT…you may be able to claim this credit if you have children age 17 or over, including college students, children with ITINs, or other older relatives in your household. The AMT exemption amount is increased to $70,300 ($109,400 if married filing jointly or qualifying widow(er); $54,700 if married filing separately). The income level at which the AMT exemption begins to phase out has increased to $500,000 or $1,000,000 if married filing jointly. THIS MEANS THAT…far fewer taxpayers will pay the AMT. Alimony and separate maintenance payments are no longer deductible for any divorce or separation agreement executed after December 31, 2018, or for any divorce or separation agreement executed on or before December 31, 2018, and modified after that date. Further, alimony and separate maintenance payments are no longer included in income based on these dates, so you won’t need to report these payments on your tax return if the payments are based on a divorce or separation agreement executed or modified after December 31, 2018. WHAT’S NEXT FOR TAX YEAR 2019? … Divorce or separation agreements executed or modified after Dec 31, 2018 providing alimony will have different tax consequences. The alimony payments will not be deductible for the spouse who makes alimony payments and they will not be included in the income of the receiving spouse. Under the Tax Cuts and Jobs Act, you must continue to report coverage, qualify for an exemption, or report an individual shared responsibility payment for tax year 2018. Most taxpayers have qualifying health coverage or a coverage exemption for all 12 months in the year, and will check the box on the front of their tax return. THIS MEANS THAT… For tax year 2018, the IRS will not consider a return complete and accurate if you do not report full-year coverage, claim a coverage exemption, or report a shared responsibility payment on the tax return. You remain obligated to follow the law and pay what you may owe at the point of filing. WHAT’S NEXT FOR TAX YEAR 2019? The shared responsibility payment is reduced to zero under TCJA for tax year 2019 and all subsequent years. See IRS.gov/aca for more information. Recharacterization of a Roth Conversion You can no longer recharacterize a conversion from a traditional IRA, SEP or SIMPLE to a Roth IRA. The new law also prohibits recharacterizing amounts rolled over to a Roth IRA from other retirement plans, such as 401(k) or 403(b) plans. You can still treat a regular contribution made to a Roth IRA or to a traditional IRA as having been made to the other type of IRA. ABLE Accounts Rollovers from a 529 Plan You can contribute more to your Achieving a Better Life Experience (ABLE) account. You may also rollover limited amounts from a 529 qualified tuition program account of the designated beneficiary to the ABLE account of the designated beneficiary to their family member. 529 Plans K-12 education One of the TCJA changes allows distributions from 529 plans to be used to pay up to a total of $10,000 of tuition per beneficiary (regardless of the number of contributing plans) each year at an elementary or secondary (k-12) public, private or religious school of the beneficiary’s choosing. *This publication covers some of the provisions of the TCJA. It provides information for you and your family to help you understand, take action – if necessary – and comply with your federal tax return filing requirements. It is not intended to replace or supersede IRS tax forms, instructions or other official guidance.